I invest in founders that are globally shaping the future with technically ambitious solutions. My sweet spot are startups that are disrupting markets where the cost of service is significantly higher than the quality of service and products that they offer. Regardless of where you are in the world, if you are working on a cutting edge technology that you beleive will fundamentally change our future, I would love to connect and help to the best of my abilities. DraperU alumni represent 82 countries and have built 370+ companies. At the end of Q1 of 2018 they had raised 250M in early stage capital and created over 5000 new jobs in the market. Acquired for $275M by Boston Medican in 2018, nVision’s first product uses patented microcatheter technology to access and collect cells from the Fallopian tube during a minimally-invasive hysteroscopic procedure. These cell samples can then be further analyzed by cytologists for early detection of ovarian cancer. Valued at $5Billion QTUM is a decentralized and open-source smart contracts platform and value transfer protocol that uses proof-of-stake consensus, meaning node operators are rewarded for validating transactions. 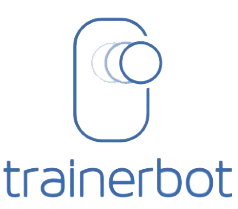 World's first app enabled table tennis training robot, Trainerbot has raised over a million in crowdfunding and venture capital and already the likes of USA Olympics team as clients using their bots.